Search online and you’ll get a range of different answers. The reality is that nobody seems to know for certain how Brexit will affect tech companies in the long run, and current level of confidence seems to depend on who’s doing the research. 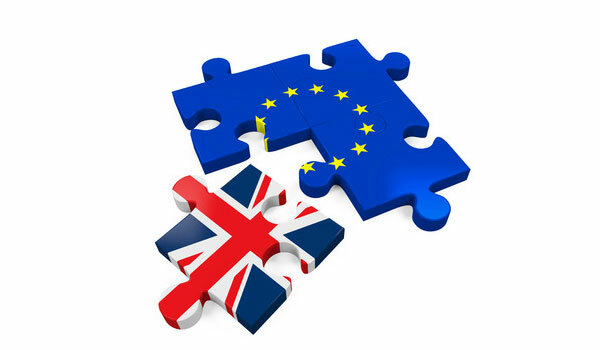 According to a survey conducted by Insolvency Practitioners MGJL which checked on the health of businesses, Brexit has impacted small businesses in more negative ways than positive. The research suggested that many small businesses lack of confidence and show considerable uncertainty about the future especially from within the Tech industry. The survey results showed that just under a third of tech businesses reported that they have already felt the impact of Brexit, and 18% said that they haven’t felt an impact yet, but expect to in the future. The reasons given relate to the fact that Tech organisations rely heavily on overseas talent and the Brexit vote threatens the availability of high quality labour. For those already feeling the strain, it’s important not to panic despite the post-Brexit uncertainty, and also know who to turn to in times of financial difficulty. Other sources seem to suggest the opposite. According to data from the British Business Barometer by Hitachi Capital Business Finance, small business confidence continues to hold firm for the fourth consecutive quarter. This data suggests that on the whole, small business outlook has remained bullish over the last 12months, despite the huge uncertainty over Brexit negotiations, customs union and the countless reports warning of imminent economic doom. The Hitachi results show that overall, 39% of small business owners predict growth for the next three months which represents a slight rise on the final quarter of 2017. The Hitachi research also revealed that SMEs from the tech and telecoms sector were the most confident and most likely to predict growth for the months ahead (52%). At a time when Britain is becoming a world leader for tech innovation from FinTech, P2P and Insurtech sectors the growth predictions are very welcome. However, the research did show considerable variation by sectors. Confidence levels by industry sector varied widely between 52% and 28%. Like all surveys, the results vary always depending who is asked and the framing of the questions. There seems to be no doubt that there is some level of uncertainty surrounding the tech industry future and brexit, however, it is likely that this is more due to lack of information than anything else. In most spheres, the UK tech sphere appears to be thriving and growth expectations continue to be met. However, the one area where all research is in agreement is regarding the effect IT expenditure and digital transformation. Research from July last year found that 90% of UK businesses are optimistic about growth, but the vast majority also said the Brexit vote has impacted their decisions for IT investments, with some freezing budgets entirely. A report released by cloud and network provider Interoute revealed that 63% of British firms are planning for significant growth this year, (2018), while a further 27%, although taking a conservative outlook, also expect to grow. But, 96% of the firms agreed that the current economic climate, coupled with the fallout from the vote to the leave the European Union, has made IT investments difficult. Around 40% said that Brexit made them nervous to invest in any long-term IT projects or digital transformation, while a further 38% said it has forced to them to adopt cloud-based solutions to allow for flexibility in their decision making. When Brexit finally does takes place, small businesses will at least have an opportunity to know where they stand and make plans for the future. Tech businesses play a huge role in a thriving UK and its economy, which means that the confidence and the future of small businesses needs to be prominent in all the Brexit negotiations. Once the final deal is on the table, then we will fully know how the UK tech industry will be affected.